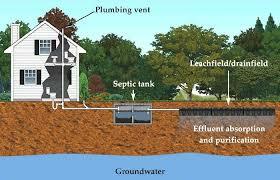 Adasak Mechanical is your number one choice for septic systems in the Kamloops area. At Adasak, we solve problems. Adasak Mechanical provides modern technical solutions for septic system installs and onsite wastewater treatment in Kamloops and the surrounding area. We are qualified to deal with Type 1, Type 2, and Type 3 effluent. As a licensed Glendon Biofilter installer in Kamloops, we offer access to the best onsite system available on the market today. Glendon Biofilter Technologies offers the highest quality effluent, 100% green treatment options, and low maintenance systems ? even for the toughest sites. Things have changed significantly in the onsite sewage industry. Property planning and development has become more complex, regulations have become more stringent, and technology has advanced to address these increasing pressures. We are committed to sewage system planning and design that is well-engineered, ethical, and environmentally sound. We meet or exceed all industry regulations. The protection of public health, ground water resources, riparian areas, and local species is given top priority. Today’s planning and management of septic systems and onsite wastewater is challenging. Adasak Mechanical has the experience and technical expertise to build a system that is right for you, your property, and the environment. EMERGENCY PLUMBING SERVICES, we will solve your problems FAST. Call us!